Perfect for hanging canvases and lightweight frames, Ook ReadyScrew D-Ring Hangers are fitted with a special collar that holds the screw in place for easy installation. The weight capacity for Ook 1 hole D-Ring Hangers is 15 lb (6.8 kg). 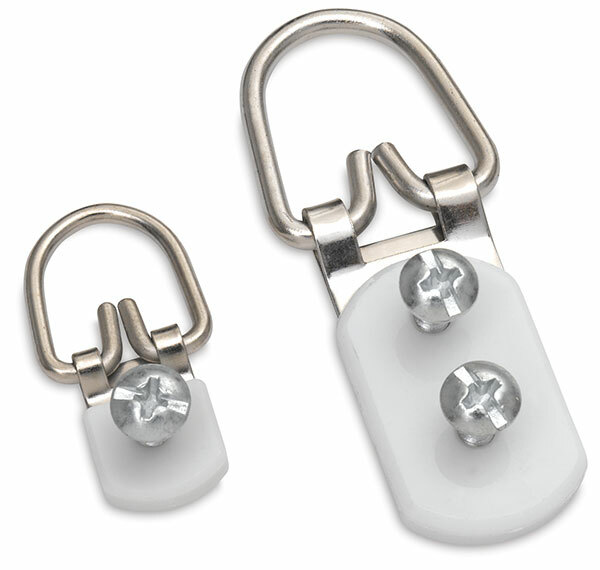 The weight capacity for Ook 2 hole D-Ring Hangers is 40 lb (18 kg). Tidy Tin, 1 Hole Hangers — Includes 10 1 hole D-ring hangers with screws. Tidy Tin, 2 Hole Hangers — Includes eight 2 hole D-ring hangers with screws. ® OOK is a registered trademark.™ ReadyScrew and Tidy Tins are trademarks.